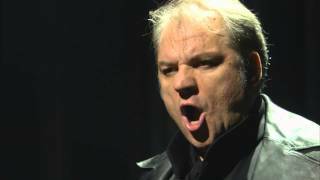 Željko Lučić sings an excerpt from Iago's "Credo" from Act II at the final dress rehearsal for Verdi's "Otello." Production: Bartlett Sher. Conductor: Yannick Nézet-Séguin. 2015–16 season. 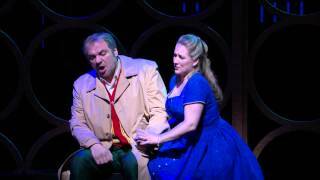 Duet from Act I of Verdi's "Rigoletto." 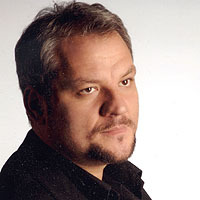 Zeljko Lucic (Rigoletto), Diana Damrau (Gilda). Production: Michael Mayer. Conductor: Michele Mariotti. 2012-13 season. 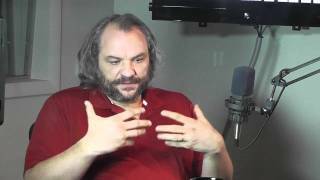 Bing and Dennis speak with baritone Zeljko Lucic.